Abstract: This research is to study about the behaviour robot navigation controller namely: fuzzy logic, that are used to control the autonomous mobile robot platform in obstacle avoidance in real time using ultrasonic sensors with complex strategies of decision-making navigating through a real unknown environment. The study presents design, simulation, hardware implementation and testing of the controller. Controller is simulated first in MATLAB® using the Simulink Toolbox. Later the controller is implemented using Arduino software and finally the hardware design of mobile robot with controller is developed. The response of controller was tested in environment using a maze that the robot should navigate avoiding obstacles and reaching the desired goal. The fuzzy logic controller was marginally superior for decision making in overall navigation and intelligence.Keywords: Intelligent Controller, Autonomous Robot, Ultrasonic sensors, fuzzy logic, MATLAB®, Arduino.Cite this ArticleViji R. Design and Development of Intelligent Navigation Control Systems for Autonomous Robots Using Fuzzy Logic Techniques. Journal of Electronic Design Technology. 2018; 9(3): 17–23p. Abstract: The Fourth generation (4G) and Fifth generation (5G) are the new evolution of the mobile communication system. The fourth generation had been launched in almost all countries and the 5G is very soon launched in many countries. In India, the 5G is launched in the years of 2020s. In this article, we hut the light on the potential and implementation on the multicarrier technology system which is the 5G based on the Filter Bank Multi-Carrier (FBMC) and Orthogonal frequency-division multiplexing (OFDM) modulation technique using MATLAB/Simulink over AWGN channel. The output of OFDM and FBMC on quadrature amplitude modulation (QAM) and QPSK modulation technique is show by the spectrum analyzer and scope. We are used this output for compare the modulation technique for the same technology. The multi-carrier modulation gives the advantages like high data rate, inter symbol interference (ISI) reduction, higher reliability and good performance in multipath fading.Keywords: Filter bank multi-carrier (FBMC), orthogonal frequency-division multiplexing (OFDM), quadrature amplitude modulation (QAM), quadrature phase shift keying (QPSK), spectrum analyzerCite this ArticleShivani Yadav, Archana Agarwal. Designing of OFDM and FBMC System using QAM and QPSK Modulation Technique. Journal of Electronic Design Technology. 2018; 9(3): 24–29p. Abstract: Personal assistant and home security system increases human work efficiency and comfort. A prototype personal assistant and home security robot has been designed and implemented in this project. It also works with Google and functions as an assistant. The main goal is to develop a system for Face Detection and Google Assistant. Face Detection and Google Assistant system are developed on Raspberry pi microcontroller by using python language. Image processing has been included for security purpose. A moving Pi camera has been added for taking pictures in various angles. The image-processing algorithm allows only known person and if it detects any unknown person then it will take photo and upload it to a Google drive account. The system uses Wi-Fi module for internet connectivity.Keywords: Home security, face detection, Google Assistant, obstacles detection, Raspberry pi, Google driveCite this ArticleRakib Uddin, Nafiz Ahmed Chisty, Emrul Kayes et al. Personal Assistant and Home Security Robot. 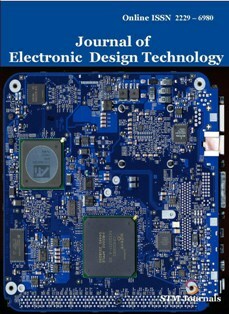 Journal of Electronic Design Technology. 2018; 9(3): 30–35p. Abstract: A new approach for personal identification based on the fusion of iris & face recognition is presented in this paper. Biometric innovations are the establishment of the personal identification system. A biometric system recognizes a person based on a few characteristics or forms. This is in many instances watched in the region of security, privacy, and forensics. Even for the great of unimodal biometric systems, it is frequently no longer viable to achieve a greater attention rate. Face and iris identification proof has been utilized in one of a kind biometric purpose. Other than moving forward the confirmation execution, the fusion of both of the biometrics has a few other preferences such as user population coverage and reducing enrolment failure. We utilize two distinctive methodologies for intertwining iris and face classifiers. The to begin with the procedure is Iris and face biometrics is created a recognition demonstrate. Different surface feature is extricated utilizing local binary pattern (LBP). The moment methodology is to treat the coordinating separations of face and iris classifiers as a two-dimensional feature vector and utilize a classifier support vector machine (SVM). We have to create a multimodal biometric approach that’s why we combine face & iris feature and parallel we move forward the execution of verification system.Keywords: Face recognition, iris recognition, LBP, multibiometrics, SVMCite this ArticleSnehal L. Mulange, Manju Pawar. A Review: Fusion of Face and Iris by using Support Vector Machine. Journal of Electronic Design Technology. 2018; 9(3): 1–10p. Abstract: Solar panels have come up as a promising methodology for extracting solar energy and yielding electricity. However, there exist many barriers in its path to become an indispensable part of today's era. The decreasing panel efficiency due to several factors such as temperature, irradiance, photoactive material, dust, panel orientation, is an issue of concern. Amongst these, dust is the least acknowledged, yet the most crucial parameter responsible for deteriorating panel performance. This research work focuses on studying the impact of dust on photovoltaic modules. Further computer aided circuit design is proposed for dust diagnosis on solar panel. The result revealed high impact of dust from experimental data that is also justified by transmittance calculation from computer aided design circuit.Keywords: PSPICE, Solar cell, Solar Panel, Transmittance, MitigationCite this ArticleAnisha Raheja, Divya Khanna, Rashmi Chawla. Computer Aided Circuit Design for Diagnosis of Dust Impact on Solar Panels. Journal of Electronic Design Technology. 2018; 9(3): 11–16p.